Meet Saturday, June 19th at 9:30am in Graton, at the Willow Wood Market. We'll head to Occidental and take Coleman Valley Road out to the coast (a beautiful climb), then head south on Hwy 1 to Bay Hill Road in Bodega (more climbing) to Jonive to Cherry Ridge back to Graton. It's about 35 miles (with a fair bit of climbing), so expect to be out 3-4 hours. RSVPs appreciated. 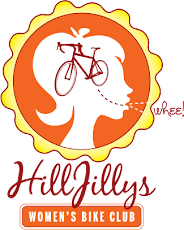 Everyone welcome, and no one left behind--but this one is a bit longer and harder than some other HillJillys rides, so you'll have more fun if you've got a bit of fitness in those legs. Did I mention there's climbing? :) Check out the route here.